Every so often, a sound becomes inescapable. In the last few decades, we’ve cycled through a series of tropes that once seemed like they would last forever—the endless James Brown samples of Golden Age hip-hop; the Pixies-inspired, Nirvana-popularized “quiet verse, loud chorus” dynamic of the 1990s; the Neptunes-led minimalistic funk of the 2000s. Each had its moment as a foundational trend in pop music. A scan of the music of today will show that another trend is in full effect, as its progenitor Kurtis Mantronik might say. From hip-hop to pop to EDM and beyond, the sound of trap music is everywhere. A cursory look at the Billboard charts—just this week Migos&apos; Culture II went to No. 1—proves that. But what, if you had to explain it, is the sound of trap? What signifies “current” to someone listening to music today? The simplest answer? It’s the hi-hat. The way trap music uses hi-hats is unique. The sound is a busy, short burst. The hats are programmed in complicated patterns, at rapid-fire speed—faster than any human could ever play it—usually contrasting with a relatively simple and pared down drum patterns on the kick and snare drum. Once you recognize it, you’ll hear it everywhere: from Migos to Future to Flume to Baauer to Bryson Tiller to K-Pop stars BIGBANG. To find out how that simple, rapid, rolling sound came to dominate nearly every corner of popular music today, we’ve got to go back to 1980. That was the year the Roland Corporation introduced its newest analog drum machine: the TR-808 Rhythm Composer. Company founder Ikutaro Kakehashi had been making drum machines since the mid-1960s, and in those days they were primarily used to accompany organ players. The 808 was something a little different. In an abrupt, bold move, the machine didn’t go for realism. It sounded nothing like an actual drum kit. The low thump of the kick drum and the “cowbell” sound, particularly, were unique. Unfortunately, at the time of the 808’s introduction, drum machines did still sound like, well, drums. The 808 flopped. By 1983, just three years after its debut, Roland stopped making it altogether. But two things happened simultaneously that would ensure the 808 had a second life, both thanks to hip-hop. First, Afrika Bambaataa and producer Arthur Baker used it on the 1982 hit “Planet Rock,” one of the most influential records in a then-burgeoning hip-hop scene. Second, the machine’s unpopularity led to dropping prices, making them accessible to an entire generation of curious kids—kids who would go on to use the 808 to make some of the most important hip-hop of the 1980s and ’90s. The story of the trap drums that we&apos;re still hearing on the radio today starts with them. 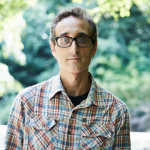 Within a few years, Broussard had discovered a way to tweak the machine’s patented kick drum “to sound like a synth effect,” and was riding the 808 to a prominent spot in L.A.’s electro scene, with songs like 1984’s “Egypt, Egypt.” That same scene would feature a group called the World Class Wreckin’ Cru, two of whose members would go on to start N.W.A. One thing that bass music did, unsurprisingly, was tweak the 808 to get more bass out of the kick drum. They did it by boosting the “decay” knob beyond its normal limits. It pushed the already unnatural drum sounds of the machine even further into uncharted territory. That outsized bass sound came with the TR-808 to Atlanta when Aldrin Davis, better known as DJ Toomp, discovered the trick around the same time. Toomp himself was a producer on some Atlanta bass tracks in the late ’80s, and you can hear the 808 featured prominently on those songs. They were only precursors, though, to the work Toomp would eventually do with T.I. to define what trap music would become. While the tricks to using the 808 to create unnaturally booming bass hits were still being developed, its crisp hi-hats were beloved by producers finding ways to keep the momentum of the track going—the origins of what would eventually become what we recognize as the trap sound. “I think ‘Planet Rock’ might have been one of the first examples of the usage of the repetitive hi-hat programming with the 808,” recalls producer Raymond “!llmind” Ibanga Jr.
A young DJ from New Orleans named Mannie Fresh was listening to all of these disparate sounds, all made on the same machine, and taking it all in. His tracks from the very beginning had the 808 all over them. “If you know Down South production, Roland 808 is in almost everything,” Fresh said in a 2016 interview for Serato and Roland about the machine. “Even before anybody liked the 808, Mannie Fresh was on the 808.” When Mannie met up with the Williams brothers and became the in-house producer for Cash Money Records, he really let loose. By the time Fresh’s sound was going national, other people were starting to do the same thing. Producer Shawty Redd, then in Atlanta, was beginning to work on one of trap’s major under-appreciated progenitors, Drama’s 2000 album Causin’ Drama. But the producer, who is a self-described “uptempo kind of dude,” wasn’t fully convinced. A year after Drama’s album was released, Shawty would meet Young Jeezy. “We just started hanging out as friends and didn’t really do music,” Shawty recalls. “We would go to the club and party. When we finally did go in the studio, I would just play keys for him first. When he liked the keys that I was playing, then I would do my formula of drum style. I just took some of those elements from what I did with Drama and made a bounce for him that would sound good.” That “bounce” would show up all over Jeezy’s 2005 debut album, Let’s Get It: Thug Motivation 101. By the early 2000s, the style was arriving on the mainstream, and needed a name. T.I. and Toomp provided it, with Tip’s 2003 album Trap Muzik. The title had nothing to do with a musical style—at least at first. Shawty Redd seconds this: “T.I. used it, and then it just became a brand,” he remembers. The person who really turned trap music into the juggernaut it is today, though, is a man who counts Toomp and Shawty Redd among his biggest influences, Lex Luger. Around 2009 or so, Luger, a struggling producer who was “broke as a joke,” sent a bunch of his beats to Waka Flocka Flame. Flocka loved the sound, and three of Luger’s tracks ended up on the rapper’s Salute Me or Shoot Me 2 mixtape, including “I’m Just Livin Life.” You can hear even on this early track that Luger took the busy 808 hi-hats of his influences and supercharged them, creating a new level for the sound. Once “Hard In Da Paint” became a hit in 2010, everyone wanted a piece of Luger’s sound. His beats began showing up in tracks by Rick Ross, Kanye West and Jay Z, Snoop Dogg, Soulja Boy, and pretty much everyone else—and success, of course, bred imitators. Toomp remembers this period very well. Now, it seems you can’t find a song without trap hi-hats. Nearly every inescapable Metro Boomin’ beat, for example, has some kind of variation on that theme, for one, and the rapid-fire hi-hat’s presence has spread beyond hip-hop. !llmind, who has taken trap’s staples and mixed them with a more traditional boom-bap sound to create a hybrid he calls “BoomTrap,” points out that the sound has stretched out even into pop and EDM. The latter has subsets called “future bass” and “trapstep,” and to hear an example of trap drums hitting mainstream production, just check out the halfway point of Lorde&apos;s "Sober II (Melodrama)," from her Grammy-nominated Melodrama.